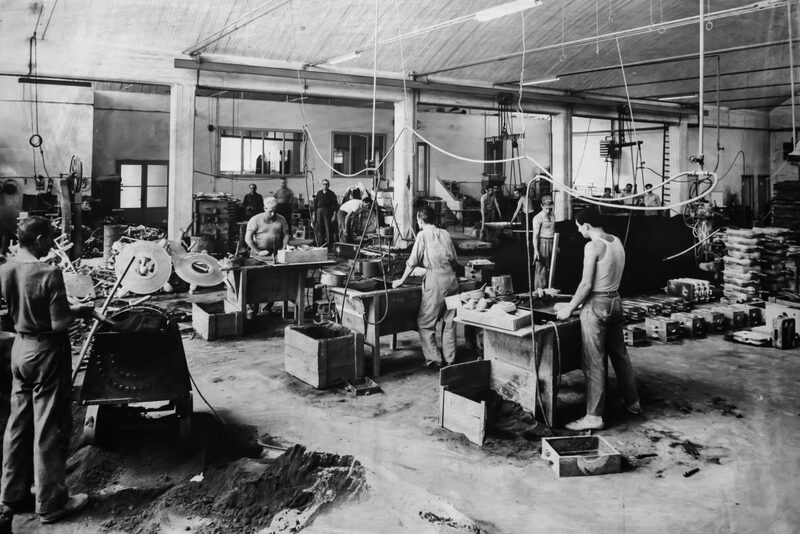 Atti was established in 1937 to produce sand castings for all those surrounding companies that were the embryo of what is now the “packaging valley”. All today’s worldwide famous names were in the portfolio of that small company with well recognized competence and ability to deal with designer requests. After the difficulties of the Second World War, in 1946 the company started again the business as a primary partner of the same customers and, soon after, motorcycle and component manufacturers were added. In 1972 a radical change of production typology took place: permanent mould casting process was introduced. The passion for this “art” has always driven us to search for new operating methodologies and the partnership with the best European companies has trained us to often solve insurmountable problems. And even today, our technology is regarded as one of the best performing in Europe as stated in our company logo: WE DO WHAT WE KNOW … AND WE KNOW HOW TO DO IT! We are able to guarantee high-volume production and we have the entire production chain within our group: mould planning, casting simulation, core shop, machining, assembly, deburring and cleaning shop and heat treatment.